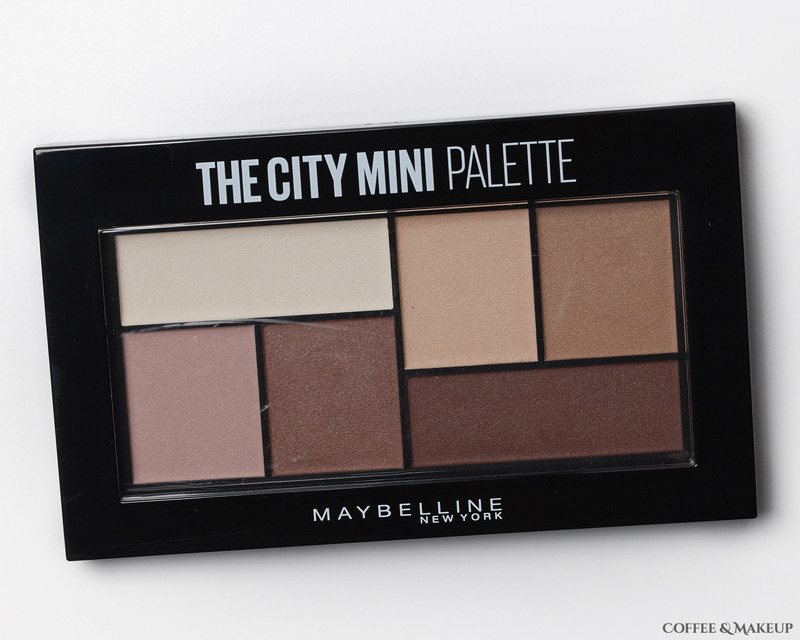 Maybelline’s City Mini Eyeshadow Palettes contain six shades in a small compact, come in various color combinations, and retail for about $10. Matte About Town‘s shades are all matte and are on the warmer neutral side. Even the pinker-toned shades designated for the crease are warm-toned once applied, though they look like they might be cool-toned just by looking at the pans. The eyeshadows are very soft and will kick up excess powder when tapping a brush into the pans. I have worn these eyeshadows maybe 4 times and I can already see a dent forming in the pans so I doubt it would last long with daily use. The shadows are very blendable and have decent but not great color payoff. It’s a good formula for those that struggle with blending but will disappoint those that prefer stronger pigmentation. Personally, I enjoy this formula for easy, every day eye looks where I want to look put together. This palette specifically is great if you are looking for some good basic crease and transition shades. If you want to do a deep, sultry smoky eye, this isn’t quite going to get you there without the help of other products. It wore on me for 8 hours without creasing or fading both with and without a primer.